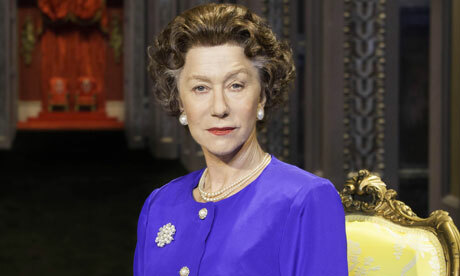 A Royal Production: Behind-the-Scenes with Sally Bedell Smith and Helen Mirren on "The Audience"
Renowned author and Royal Oak lecturer Sally Bedell Smith consulted on the production of The Audience, the Broadway play which stars Helen Mirren as Queen Elizabeth II. We’ve told you what it’s like to see the show, but today Smith takes you behind the scenes with Mirren, playwright Peter Morgan and the rest of the production team as they work to capture the incredible life of Queen Elizabeth II through her relationship with her Prime Ministers. At 5:30 AM on Friday, May 8th, playwright Peter Morgan sat down to write a new scene between Prime Minister David Cameron and the Queen for his runaway hit play, The Audience. The fresh dialogue would reflect the Conservative party’s overwhelming and unexpected victory. With speed, dexterity, and wit, Peter polished off the scene, raced to the theater, and gave it to Kristin Scott Thomas and Mark Dexter to rehearse for the evening performance in London’s West End. As I read his email recounting the challenge, I wished I could be in the theater to savor the result. A biographer rarely has the opportunity to poke around inside the creative powers of a master of another form of expression. But for over a year starting March 2012, plus several more months in early 2014 prior to the Broadway debut, I had that privilege as consultant to Peter Morgan while he was writing The Audience. My stack of email printouts is three inches thick, reflecting our regular back-and-forth as he shot me inquiries about biographical details, character traits, and endless other aspects of The Queen and her dozen prime ministers that I learned while writing Elizabeth The Queen: The Life of a Modern Monarch. We had phone conversations, tea, and lunches in London as well. Among the scores of questions: Where does the Queen have her audience with a PM whilst at Balmoral? Did Elizabeth ever roller-skate or bicycle through the Buckingham Palace corridors as an 11-year-old child? Who in the family taught her matters of protocol? Did The Queen ever fly on Concorde? If so, do we know what she thought? Most illuminating were the spirited exchanges we had over scenes Peter asked me to critique. For Her Majesty’s visit to Harold Macmillan in the hospital as he prepares to resign, (which was ultimately cut from the play) I touched on everything from what they were wearing, to the context of the Common Market negotiations, the Queen’s pregnancy and Macmillan’s attempts to manipulate the situation. “Riveting stuff,” Peter replied. “Have amended scene accordingly.” But when I suggested he tamp down the confrontational exchange between the Queen and Margaret Thatcher, he shot back, “Don’t put the fire out!! !…I want a clash or no scene at all.” I never failed to be astonished by how quickly and impeccably he could turn around revisions and zip them back to me. It was also amusing to learn tidbits from behind the scenes. A couple of months after the opening in London, someone involved in the production had dinner with David Cameron. The Prime Minister said he had discussed the play with the Queen in a recent audience. She told him she understood that she fell asleep as he talked about Europe! She jokingly reminded him that she had never actually done that….yet!!! I’ve seen the production three times. The first was a preview on the West End when Robert Hardy was struggling with his role as Winston Churchill, soon to be replaced by Edward Fox. I took my daughter and her English husband a month later; we had dinner with Peter before the show, and afterward we went to Helen’s dressing room. Despite the stamina necessary to stay on stage for nearly the whole performance, she was full of energy, already looking forward to her Broadway debut. I was there on the New York opening night as well, and saw Helen at the post-performance party, where she looked radiant in a sparkly black dress. Peter had just been to rehearsals in London with Kristin Scott Thomas in the lead role, and he said she was going to be great. The reviewers have agreed. The last bit of excitement will come if Helen captures her much-deserved Tony Award—which would complete the major honors on her already crowded shelf.